The six-day test flight will be real in every regard, beginning with a Florida liftoff Saturday and a docking the next day with the International Space Station. But the Dragon capsule won't carry humans, rather a test dummy — named Ripley after the tough heroine in the "Alien" films — in the same white SpaceX spacesuit that astronauts will wear. SpaceX has made 16 space station deliveries over the past seven years. The private company overhauled the cargo Dragon capsule to make it safe — and comfortable — for passengers. It's slightly bigger — 27 feet (8 meters) tall — and also launches atop a SpaceX Falcon 9 rocket. But now there are four seats, three windows, computer touch screens and life-support systems. Instead of solar wings, solar cells are on the spacecraft itself. And eight engines are built into the capsule walls for use in an emergency; these abort engines could shoot the capsule off a malfunctioning rocket anytime during the launch. You can't go into space looking dowdy. SpaceX founder and chief executive Elon Musk wants Dragon riders looking sharp and 21st century, just like their new, white, sleek spaceship. The streamlined spacesuits are also white with black trim, with matching helmets and gloves. No bulky orange flight suits left over from NASA's space shuttle program. Boeing is going with royal blue spacesuits for its Starliner capsule crews. The life-size test dummy Ripley — wearing SpaceX's slick new spacesuit — is strapped into one of the capsule's seats. The mannequin, whose name was unveiled Thursday, is rigged with sensors to see how it holds up. Ripley is similar to Starman, which blasted off last year in the driver's seat of Musk's red Tesla convertible, on a test launch of the company's bigger Falcon Heavy rocket. The capsule can accommodate up to seven astronauts. For this test, it's carrying 450 pounds (200 kilograms) of supplies and gear. 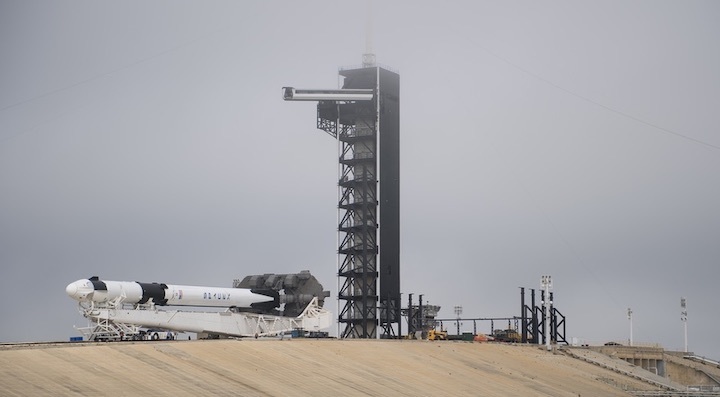 Just because SpaceX is first off the pad doesn't mean it will launch astronauts before Boeing. SpaceX is shooting for a July crew launch, but that could slip depending on the results of the upcoming demo and a launch abort test this spring. Several items — parachutes and thrusters, among others — still need work and possibly redesign before certified for human use. Boeing is targeting an April test flight of its Starliner capsule without crew, and a launch with three astronauts no earlier than August. Whichever company delivers astronauts first wins a small U.S. flag left at the station by the last shuttle crew in 2011. NASA's Doug Hurley and Boeing's Christopher Ferguson — who both flew that final shuttle mission — will test drive the new commercial capsules. Hurley will ride the Dragon and Ferguson the Starliner. SpaceX's famous "Starman" dummy onboard the inaugural Falcon Heavy launch in 2018 is about to have some competition — from a new dummy, named Ripley, who will fly on the first test mission of the company's Crew Dragon capsule. Ripley is not onboard to be dead weight: It is packed with a range of sensors that SpaceX engineers will use to monitor the journey to and from the International Space Station. "We call it a smartie, and her [sic] name is Ripley," SpaceX vice president of Build and Flight Reliability Hans Koenigsmann said of the dummy during a news conference Thursday (Feb. 28) previewing the mission's launch, which is scheduled for early in the morning of March 2. Liftoff is set for 2:49 a.m. EST (0749 GMT). The name is a nod to Ellen Ripley, the main character of the 1979 movie "Alien" and some of its sequels. The name follows a SpaceX trend of naming things after science fiction icons. It's first spacesuit-clad figure (launched in a Tesla Roadster by a Falcon Heavy rocket in 2018) was called "Starman" in honor of David Bowie's sci-fi themed music. The Falcon rockets themselves are named after the Millennium Falcon from "Star Wars." SpaceX CEO and founder Elon Musk unveiled the first glimpse of the Ripley dummy on Friday (March 1) via Twitter. 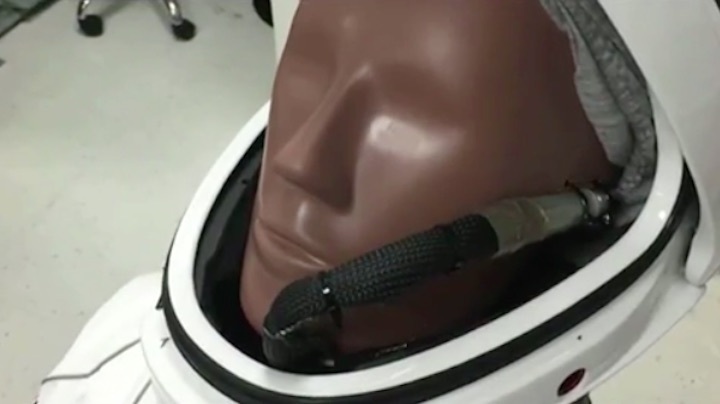 The dummy is part of a full suite of sensors aboard the uncrewed mission, which will produce data that SpaceX and NASA will rely on for future, crewed missions. "We instrumented the crap out of this vehicle; it's got data, sensors everywhere," Kathy Lueders, manager for NASA's Commercial Crew Program, said during the news conference. "Actually having a re-entry, with Ripley in the seat, in the position, is critical." The sensors inside the Ripley dummy will measure forces and acceleration experienced by a future human passenger, as well as the environment around them. 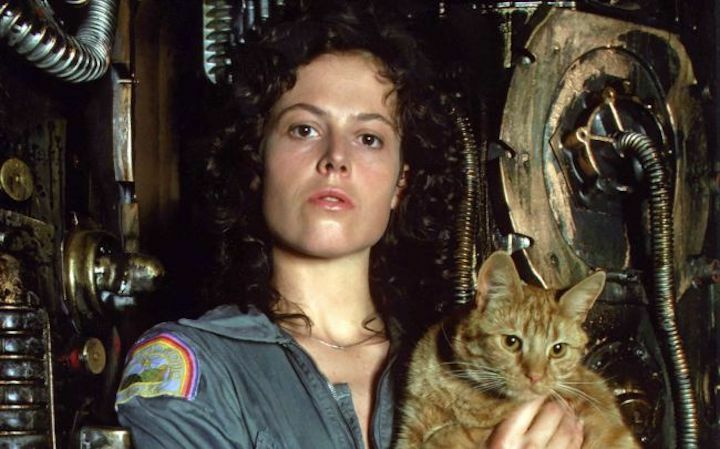 Ripley stars in the 1979 movie "Alien" and its later sequels. The goal is to get an idea of how humans would feel in her [sic] place, basically," Koenigsmann said. "I don't expect, actually, a lot of surprises there, but it's better to verify, make sure that it's safe and everything's comfortable for our astronauts going on the next flight of the capsule." Fortunately, Ripley the dummy's odds of encountering any chestbursters on the flight are pretty slim. 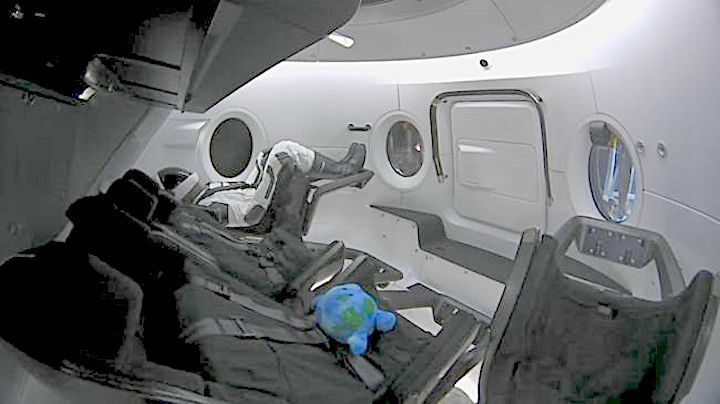 Editor's note: This story was updated March 1 with the first photo of SpaceX's Ripley test dummy on Crew Dragon. 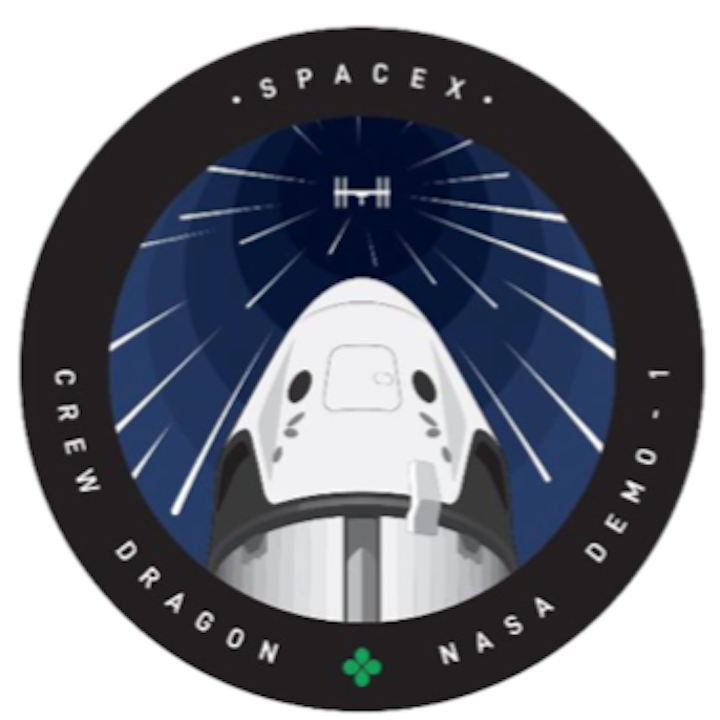 You can watch the Crew Dragon Demo-1 test launch live on Space.com here Saturday, March 2, beginning at 2 a.m. EST.